Might I tell you about a beeping instrument in a vehicle testing lab in southern California that has the promise of making every country in the world almost accident-free? Or about the Google car that has cautiously driven over 1,000,000 miles on autonomous mode which is equivalent to about 75 error-free years of driving the vehicle? The use of technology by the innovative human brain is so marvellous that it makes me want to believe in miracles. Only that these happen in the real world. And while the faraway lands across oceans and continents are investing huge sums of money and resources into development of technology, we Indians too are hopeful for what the future will bring to us. There is no distinct line that divides technology and popular culture so even when as a country we’re doing little to make driving safer, the future generations will be able to reap the benefits of self-driving cars that focus on driver & pedestrian safety. If things go as predicted, the developing countries will see a road revolution by 2050; and India needs it more than anybody else. One third of all road accidents are caused due to drunk driving, and drinking & driving is prevalent in all the states including the capital city. As a country, India overall has the highest accident rate but the lowest rate of conviction. Even as the roads are plagued with frenzied driving every night, the conviction rate in the capital is a mere 9 per cent. 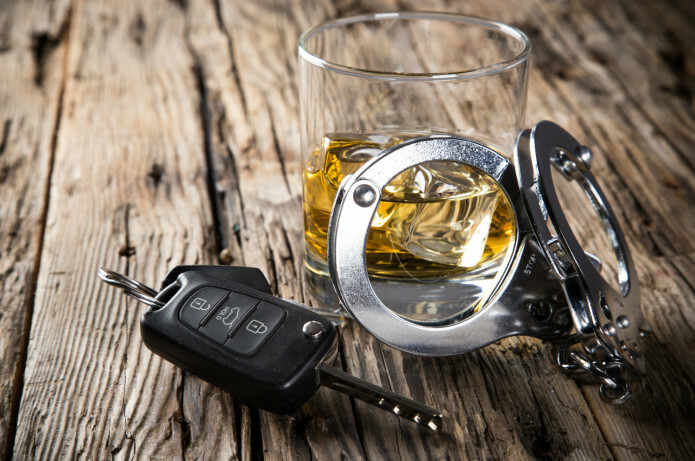 Drunken driving is a bailable offence in India which may fetch you a penalty of Rs 2000/- or a prison sentence that lasts for 2 months, but most offenders get away with bribing the cop with a 100 rupee bill. Now try to imagine self driving cars which ensure safe driving even when you’re drunk. So a late night at the bar wouldn’t have to be a planned event that involves calling a cab or staying over at a friend’s. There will be less instances of rash driving and even lesser traffic jams. This powerful technology will reflect positively on people’s lives and all of society as a whole. Talking of companies who are the biggest investors in this idea, General Motors seem to be at the top of their game. Another company by the name of Lyft (which is about 14 times bigger than Uber in the ride-hailing sector), has opened their own research centre in Pittsburgh to study autonomous vehicles and their implications. 15 other companies have invested in building a fake city in Michigan to study autonomous driving programs. Tesla has already integrated and tested partially automated driving on highways and seems to be promising more than google’s self-driving software. As per plan, something is on its way in 2020. So you go to visit your best friend who is shifting to greener pastures abroad and you know you won’t see him for the next two years. And of course! It is a ‘drink till you drop’ party. Now you tell yourself that you’re going to stop after a couple as you need to drive all the way back to your home where your beautiful wife will be waiting for you. But we’re never religious about our drinking norms are we? So you start with a couple just like you thought and then your fun friend toasted to you, and so you had to drink again. And then came the shots! 2 or 3 shots down you realize that you’re no longer capable of driving back. What in the world would you want to do now? Don’t even think about driving even for a millisecond. Of course it might not make sense to hire someone for just a party, but then safety knows no bounds. You can’t possibly endanger your life and the life of others as well by driving drunk. So either a hire a driver before the event or if you have deep pockets, you could ask your permanent driver to do the job for you. Opt for services like UrbanClap, DriverBulao, HireADriver, MeraDriver and more. This is a no brainer! With the recent influx of multiple tax and cab services across the nation, taking a taxi is no longer a huge feat. Everybody’s doing it! The services are convenient and comfortable in entirety, so much so that you can call a cab within seconds with the simple click of a button. And they’re economical too! What more do you need? There are plenty of options like Uber, Ola, TaxiForSure and more. If you’re accompanying a friend to the party, or a group of people rather, decide amongst yourselves and pick one who won’t drink at the party at all. There should be at least one person who stays sober so you can reach home safely. You can decide by simply voting or a rock-paper-scissors fiasco. If you’ve done the deed of drinking heavily, then there’s no hiding. Spending a few more bucks on a hotel room which falls in the vicinity makes good sense. You can even ask some friends to accompany you and make a party out of it. Make sure your vehicle is parked in a safe zone though. Ask any one of your sober friends to either drop you home or take you back to their own place. Its good to have all kinds of friends now isn’t it? Or you could also call on your younger brother or sister who can help you in your time of need. No point feeling guilty of having hidden their PlayStation now! We’ve all been there. There should be a sense of responsibility in everybody who is going out to drink at a party. Only then can safety be ensured. How to ensure that you do not drink and drive? Eat and drive, laugh and drive, talk and drive but please do not drink and drive, whatever you do. Never travel with a person who is drunk. Always call a taxi or a driver to take you home when you drink socially. Never let your friends or colleagues drive after they’ve been drinking. If you’re in a group, say on an out-station jaunt, get one person to stay off the alcohol and appoint him to drive. While going for a party, pre-assign one person (who will remain sober) to drive you back. Act responsibly –when you invite people and serve drinks, ensure that everyone gets back home safely. Not every night out has to involve a bar or a pub – book a table at a restaurant, go driving to the dhaba on the highway or check out the latest food truck in your city!